Let us bring your vision to life from concept to completion. ﻿In the last 10 years, we've built dozens of new homes in the Sioux Falls, SD area. See the custom built homes we currently have for sale in the Sioux Falls, SD area. Oakland Homes Sioux Falls home construction is defined by the quality of finish. It is uniquely recognizable. There are many home builders in Sioux Falls, visit with us to see why we stand out as the best home contractor in eastern South Dakota. When clients do a walk through of our new home construction sites, our goal is that they notice the attention to detail and exceptional design put into each construction project. 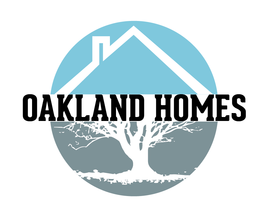 Oakland Homes puts customer relationships first, and we are able to utilize outstanding relationships with suppliers and contractors for the best new home. Our reputation for quality customer care is well known in the Sioux Falls area, and we will work hard to make the home building experience fun and exciting. We have many years of experience and dozens of new homes built in communities like Sioux Falls, Brandon, Tea, Hartford, and Dell Rapids. Whether you are searching for the perfect starter home, upsizing for a growing family, or downsizing for retirement, our new home construction will meet your needs and stay within budget. Our commitment to luxury home construction sets us apart from competing sioux falls home builders. We take pride in offering a once in a lifetime experience for clients building their dream luxury home in Sioux Falls. We can build in any of the local communities including Sioux Falls, Harrisburg, Brandon, Hartford, Tea, and Dell Rapids. We want to be the Sioux Falls home builder of choice for building that luxury dream residence. We want your custom built home construction to exceed your expectations. Building a new home is more than a financial investment measured in cost, it is a personal expression.